After winding for many miles down the Teifi valley, the river Teifi finally reaches the town of Cardigan, and flows under it's historic centuries old stone bridge. I've painted the bridge before, however this is one of my favorites, the warm ochre colours giving a serene and peaceful feel to this painting. 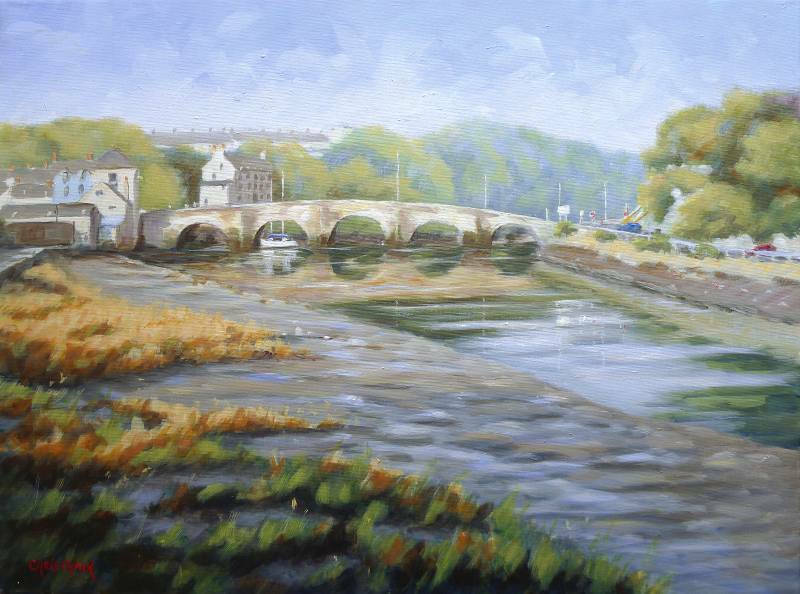 "Cardigan Bridge & the River Teifi"